When the bravest of patients at the Dental Center of Jacksonville hear the words root canal, they may experience some stress, but the good news is root canals will actually relieve pain – not cause it. It’s true! The toothache and dental sensitivity many patients associate with root canal therapy are actually symptoms that you need the procedure. After your root canal, you will likely feel much better. If you’re in need of a root canal, call our Jacksonville dentist and team to schedule an appointment right away. Many of our root canal patients come to us as dental emergencies, so please reach out any time if you think you’re in need of root canal therapy. We’re here to help. A root canal literally is the small canal that allows your nerve tissue to connect with your gums and jawbone through the inside of your tooth’s root, the part of the tooth below the gum line. However, the treatment people are referring to by that name is actually a common endodontic procedure. When tooth decay or damage reaches the inner layer of your tooth, we may need to perform root canal therapy to remove this inner tissue called the pulp. The problem isn’t the pulp itself but the sensitive nerve tissue housed inside of the pulp. When the tooth’s nerve is irritated by damage or decay, the result can be detrimental, so removing the pulp and nerve tissues allows us to prevent unnecessary pain and damage. What Should I Expect During Root Canal Treatment? You root canal treatment will be completely comfortable. We begin by numbing the area around the tooth and removing any damaged or decayed surface tooth structure. Then, we drill a small hole from the top of the tooth to the inner pulp layer. A series of instruments are used to remove the pulp and nerve tissue from the inside of the tooth. For some patients, we’ll need to prescribe oral or topical antibiotics before proceeding with your treatment. This ensures any infection is completely cleared up before we repair and reseal the tooth. Once we’re sure your tooth is completely infection-free, we will refill the pulp layer of the tooth with biocompatible substance and reseal the access hole. In almost all cases, we need to place a dental crown to protect and strengthen the treated tooth. 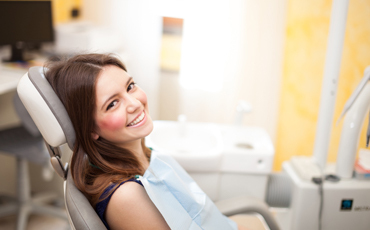 How Do I Care for My Smile After a Root Canal? Following your root canal procedure, you will likely feel much better than you did before treatment, but you still need to treat your repaired tooth with care. Avoid chewing with the repaired tooth for a few days, and keep very hot or cold foods and beverages to a minimum to avoid sensitivity. After the first few days, you should be able to use your repaired tooth just like always, eating a wide range of foods, brushing, and flossing as usual. If you have a dental crown placed to protect your treated tooth, we may encourage you to switch to a softer toothbrush, less abrasive toothpaste, and waxed floss to avoid unnecessary wear or damage to the restoration.